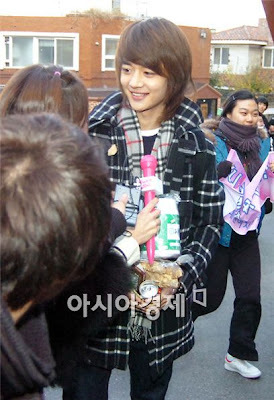 Boy band SHINee member Minho arrives at Daewon High School in Seoul, South Korea to take his national college entrance exam on November 12, 2009. Some 670,000 high school seniors and graduates across the country began taking the government-sponsored College Scholastic Ability Test on Thursday which will be a decisive factor in determining their college admission for 2010. 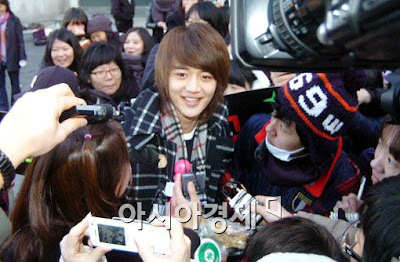 Good luck to Min Ho, a few days later it will be Us authors of DKP, who will be sitting for the exams.A few of us will be taking the exams. 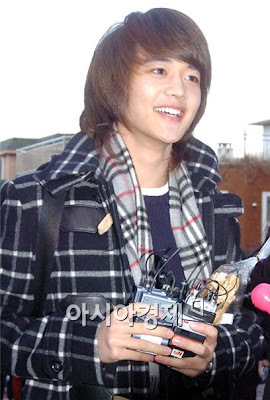 world k-pop news: [Pictures] SHINee Min Ho arrives for college exam "clickable"
0 Response to "[Pictures] SHINee Min Ho arrives for college exam"